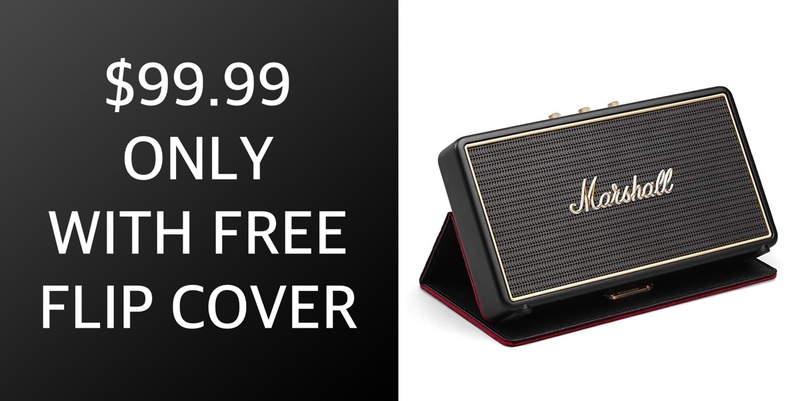 This Marshall Stockwell Bluetooth speaker is tech-based proof that not all portable speakers are created equal and that not all speakers offer the same appeal. Right now, for what is likely to be a limited period of time, you can pick up this hardware for just $99.99. In a world full of assistant-based Bluetooth speakers, we need a hero that can step forward and dare to be unique. We need a performant Bluetooth offering that isn’t afraid to break the mold and step away from the standard design that has swept this particular genre of hardware. 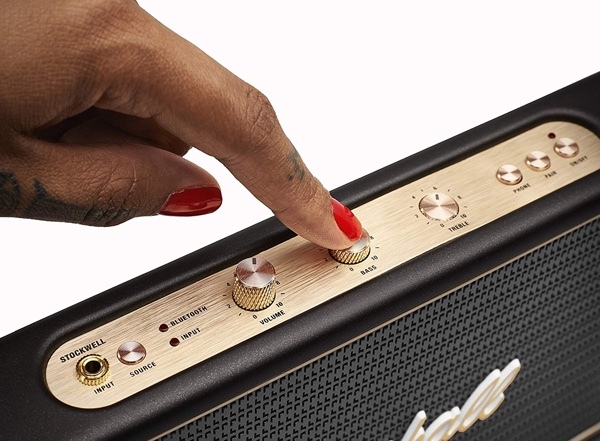 In all honesty, we need the gorgeous visuals of the Marshall Stockwell speaker and we need the power and capability that compliment the external product design. And yes, you guessed it, we have that hero right here and we have it with a whopping 37% discount applied which takes it down from $160 to just $99.99. The hardware not only comes with a stunning exterior but also offers built-in rechargeable lithium-ion batteries that can give it a 25-hour playback time. That capability means that you are free to enjoy the music and everything that it offers without the hassle of having to compete with wires and have the speaker tethered to a power socket at all times. Music is about freedom and diversity and this Marshall Stockwell speaker embodies that. The Bluetooth 4.0 technology is slightly outdated now but it does give you a strong and stable connection with easy pairing and a decent, distant range for streaming from your device such as a phone or a tablet. It also comes with the ability to answer, decline and end phone calls with a single press of a button. Also, the company has had the foresight to stick an extra USB port onto the speaker to let you charge your device at the same time. However, be warned, if you do that, the 25-hours playback time will decrease. If you need a speaker that breaks the usual conventions and which comes with a gorgeous flip cover offering a retro look and feel, then this is definitely the portable Bluetooth speaker for you and it’s available right now from the link below.